Do you know what tips to consider, buying your first drone? It doesn’t always mean that the most expensive model is the best one. In previous articles, we gave recommendations concerning the useful tips for the new drone pilots. Besides, we also published the information allowing you to improve the quality of aerial photos. 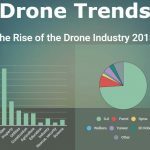 So, right now, it is high time to find out how to choose the first drone. You need to know what information to take into account. It makes no matter what things you buy in your life. The more you pay, the more features you get. Yet still, not always these features are really needed for the beginning pilots. DJI Phantom 3 can be a really good option. It is not so expensive as its latest model DJI Phantom 4, so this drone can be an excellent starting point. If you only start developing your flying skills, you need to know that GPS feature is very important. It is really worth paying more. Toy grade drones aren’t endowed with this functionality. When it comes to drones, the battery life is still a problem. Expensive DJI drones, like Phantom 4, Mavic Pro or Inspire 2 offer the average flight time around 30 minutes. As a rule, this time is reached only under ideal weather conditions and in a controlled environment. Toy drones fly even less than 5 minutes. So, you understand that this time isn’t enough to learn to fly. The best choice is the drone flying around 20-30 minutes. For instance, the price for the chosen drone is around $800. Nevertheless, this sum isn’t enough. You will also need to buy several additional batteries (to prolong the flight time), a couple of new propellers, a quick charger, etc. So, when you choose your first drone, always take into consideration the average price for the accessories and replacement parts. Besides, you also need to be very attentive buying third-party parts. They should be original (check it before you buy). Just get ready to this, when you buy your first drone! When you make a decision to fly in a public place, each person who sees your drone will think that you are spying on them. If you live in big cities of the USA, you should be ready – it is really difficult to find the place for flying a drone. US National Parks are no-fly zones. It is also not allowed to fly in the county and municipal parks. So, before you buy a drone, you need to visit AirMap or Mapbox with the aim to check all no-fly zones near you. If you live in the USA, you will also find lots of useful info in FAA’s B4UFly application. Besides, don’t forget about the registration of your drone, if its weight varies from 250 g to 25 kilograms. The US FAA obliges everyone to register a drone. You will pay $5 for the registration. You can do it online, several minutes are required. You should definitely take into consideration all these tips. Before you finally make a decision to buy your first drone, you need to be ready to anything. The last advice is to buy high-quality drones. Here, at aeromotus.com, we offer you an opportunity to buy DJI drones in Dubai. Choosing DJI drones, you will buy a powerful and multi-functional drone, endowed with lots of useful features.